Why insure your Catering Van with us? 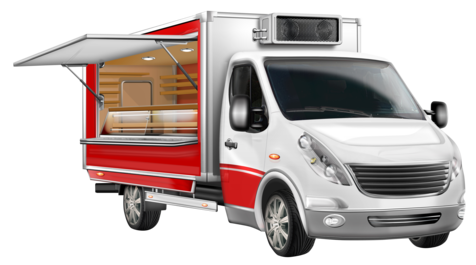 An exclusive insurance offering for any type of Catering Vehicle, including, but not limited to, Hot Food Vans, Ice Cream Vans, Sandwich/Jiffy Trucks, Mobile Pizza Vans, Mobile Bars. All makes and models can be covered with our Catering Van Insurance Policy, including the popular Citroen H Vans, Piaggio Ape’s and Aixam Mega Vans. Our policies are specially designed to cover the fixtures and fittings within the vehicle and also give you the extra fire cover needed where heat is being used. Our bespoke Catering Vehicle facility is available through our own direct agencies from a panel of UK based insurers and will keep you moving with all the cover your mobile catering business needs.